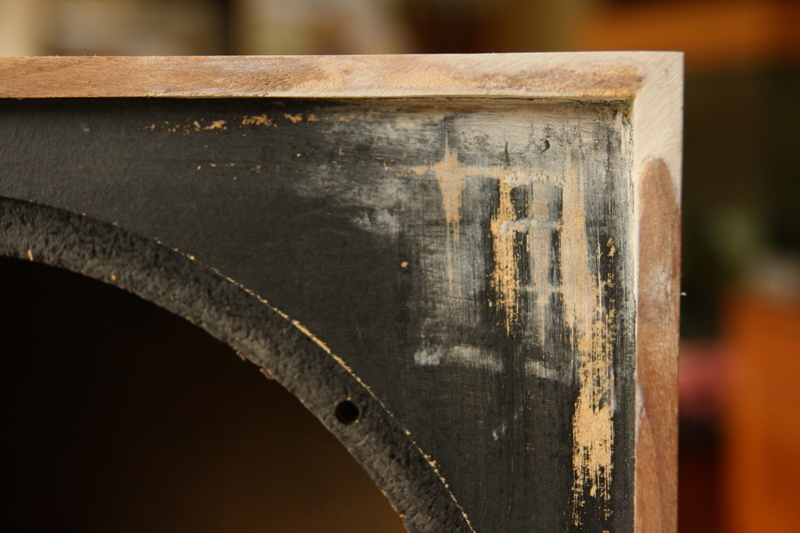 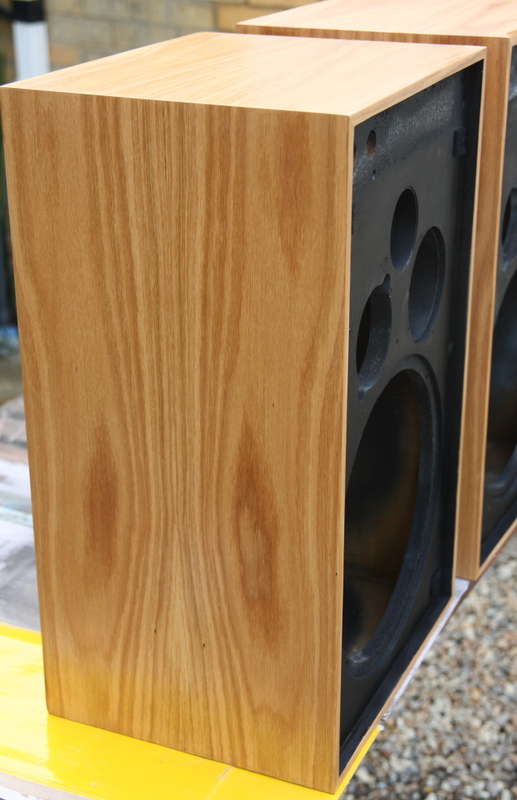 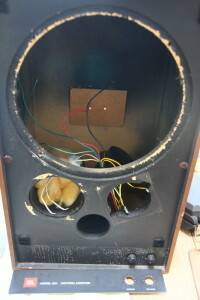 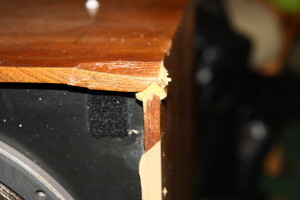 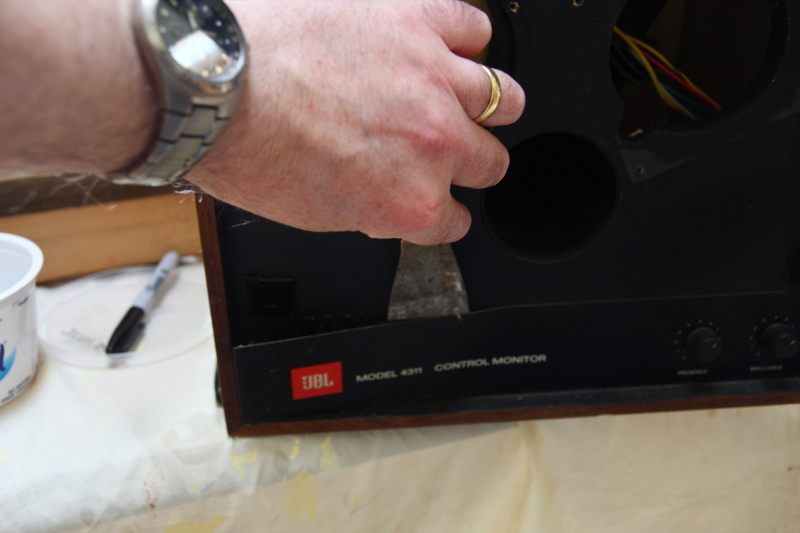 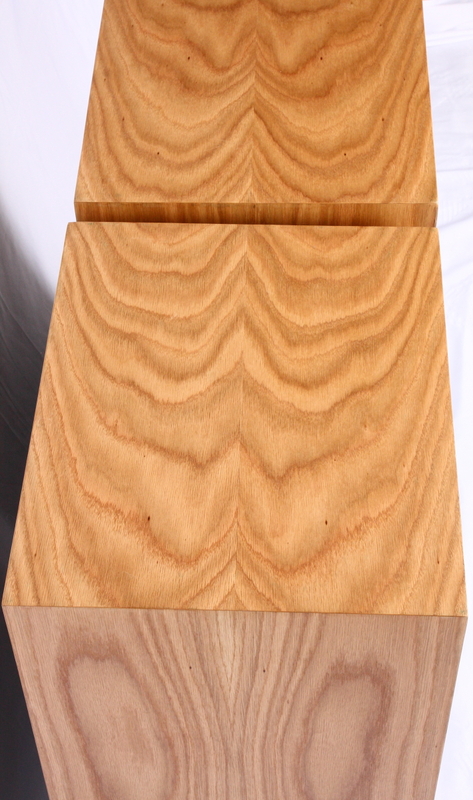 Here, we have a brief overview of the complete restoration and upgrading of a legendary pair of JBL4311 loudspeakers. 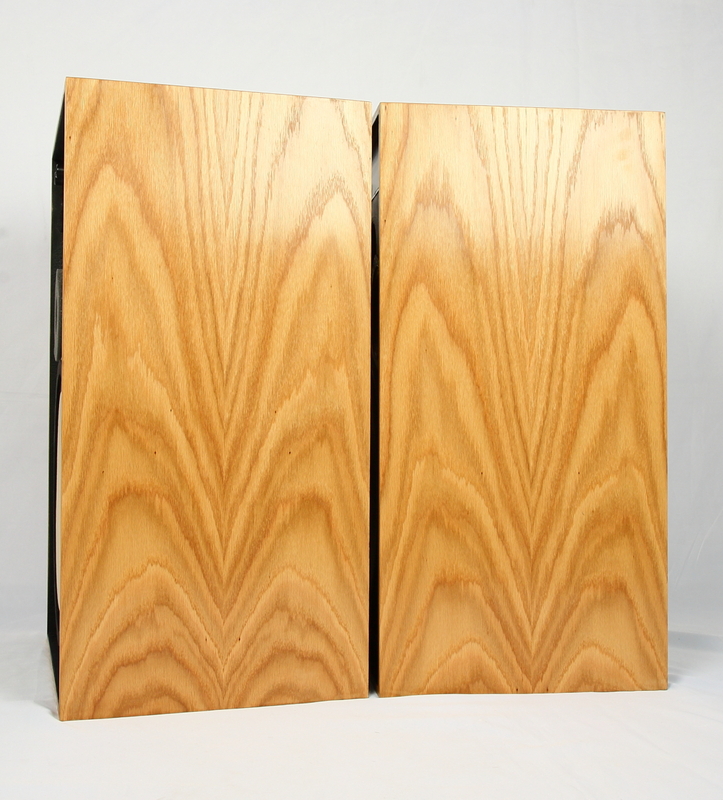 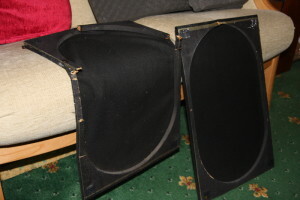 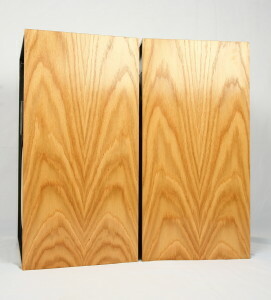 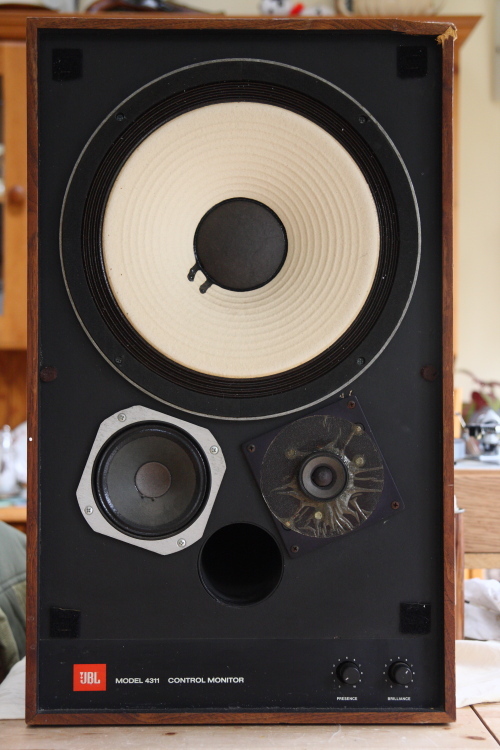 These, reportedly, have sold more pairs world-wide than any other loudspeaker, and whilst these are an original pair fro the early 1970s (they first made an appearance in 1969), new versions are still being manufactured today. 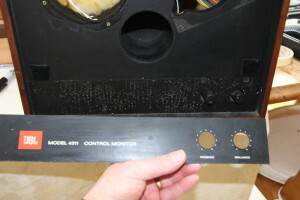 However, many purists favour the original 4311 speakers with their ALNiCo magnet drive units, so early pairs are holding value well. 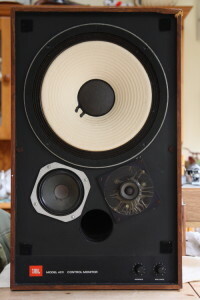 Finding a pair in good condition, like many of these things, is becoming more difficult. 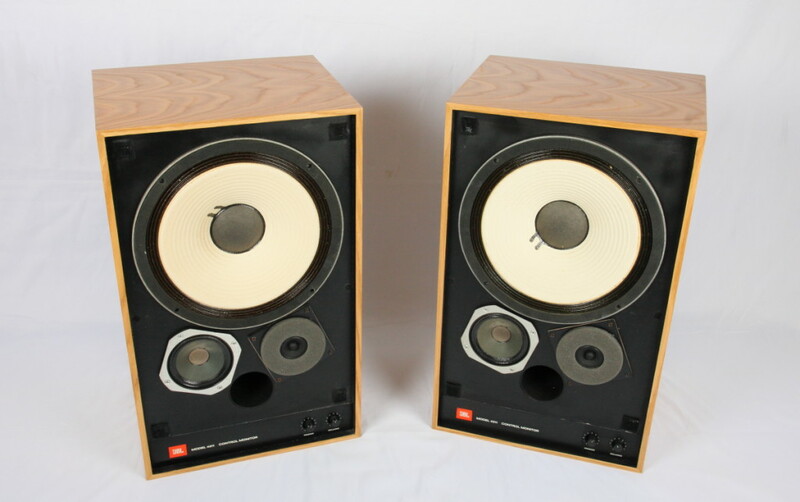 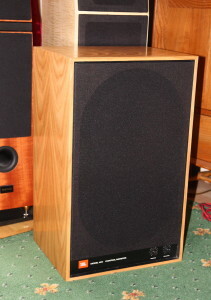 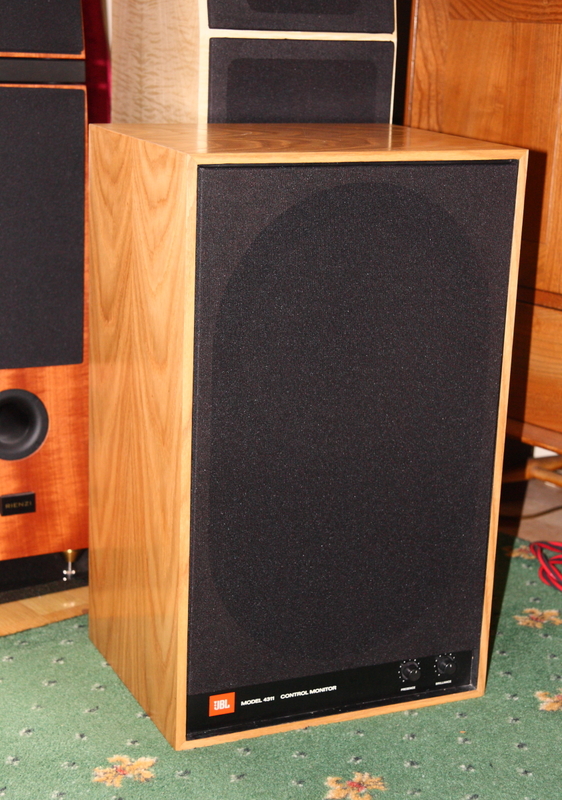 These were originally designed for use in recording studios (hence the tweeter location, designed for horizontal speaker placement), the domestic equivalent being the JBL -L100. Original pair arrived rather the worse for wear! 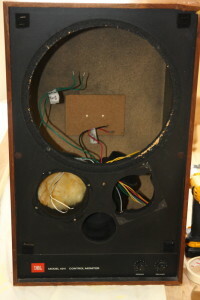 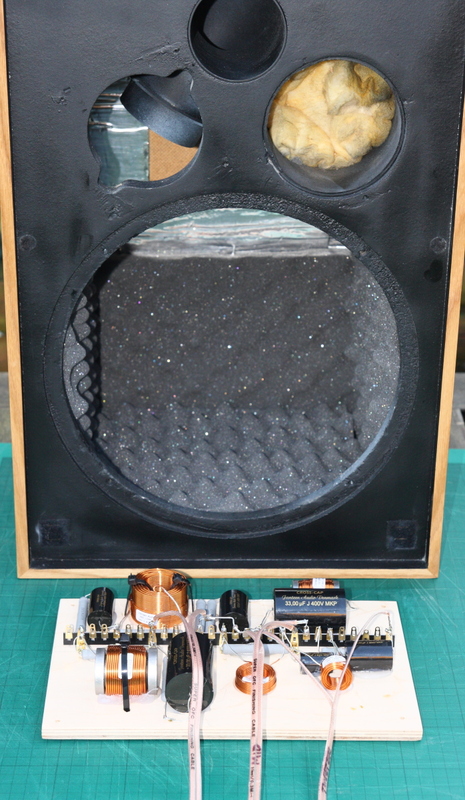 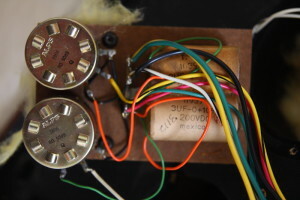 Existing crossovers removed: Note, bass runs full range with simple roll-in capacitors for mid and HF units. Potentiometers are for altering sensitivity of mid and HF units but hey also change corner slope profile between drive units!